We already know how the others did, but now it’s time to see how your bank partners faired last quarter. Mortgage business is credited with helping boost its overall personal lending portfolio. “Rising 6% from a year ago, personal lending experienced sustained growth, with the most significant increases coming from mortgage loans, and commercial lending grew 8% from a year ago,” the bank said in its Q1 report. Residential mortgages accounted for $44.4 billion at January 31,2016 – up from $40,011 at January 31, 2015. “Rising 2%, residential mortgages also grew since October 31, 2015,” the bank said. Scotia reported a total of $190 billion in total residential mortgages as of January 31, 2016. “A large portion of the Bank’s lending portfolio is comprised of residential mortgages and consumer loans, which are well diversified by borrower,” the bank said in its quarterly report. “As at January 31, 2016, these loans amounted to $314 billion or 64% of the Bank’s total loans and acceptances outstanding (October 31, 2015 – $309 billion or 65%). The bank said most of its mortgage portfolio growth was driven by products originated outside Canada. “Residential mortgages increased $1 billion, mainly in Latin America as underlying growth in Canadian residential mortgages was largely offset by the planned run-off of Tangerine’s broker-originated and white label mortgage portfolio,” the bank said. 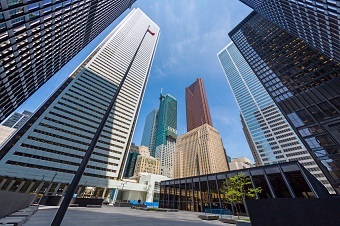 TD loans increased $23 billion due, in part, to growth in its residential mortgage portfolio. Its total mortgage portfolio was $186 billion at January 31.